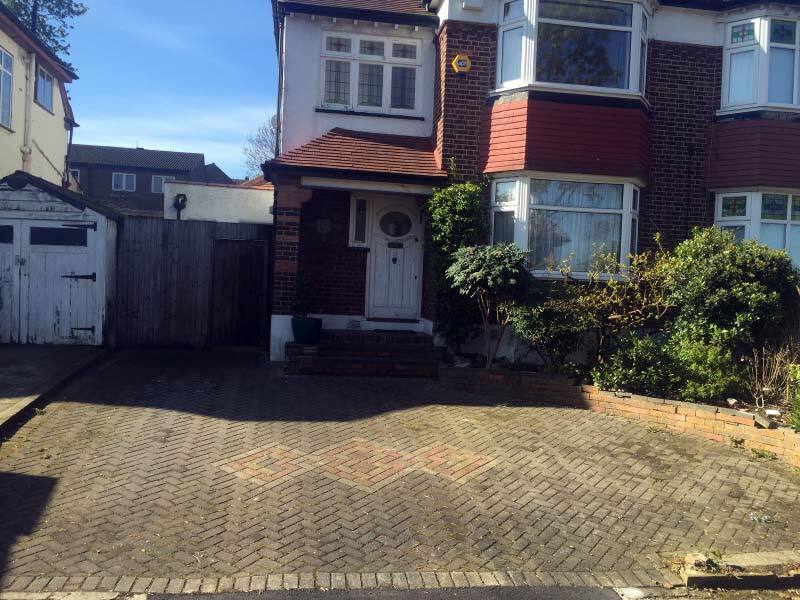 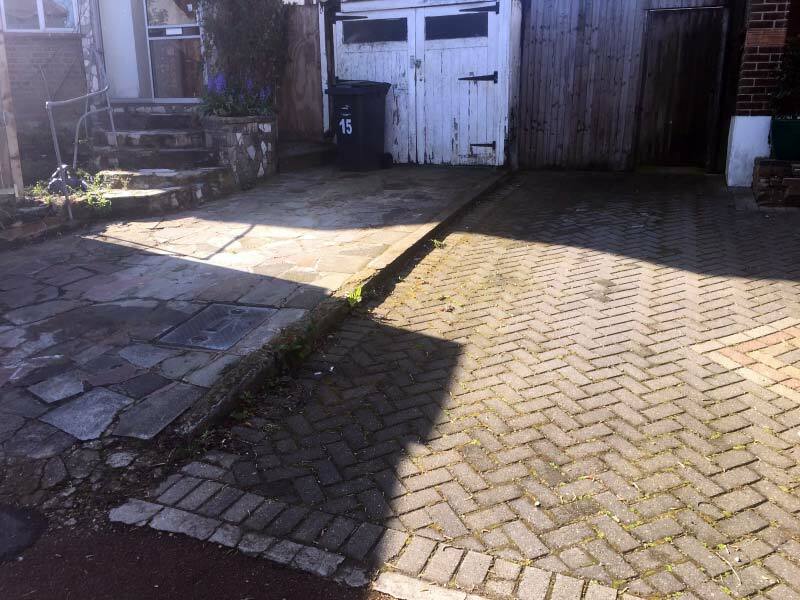 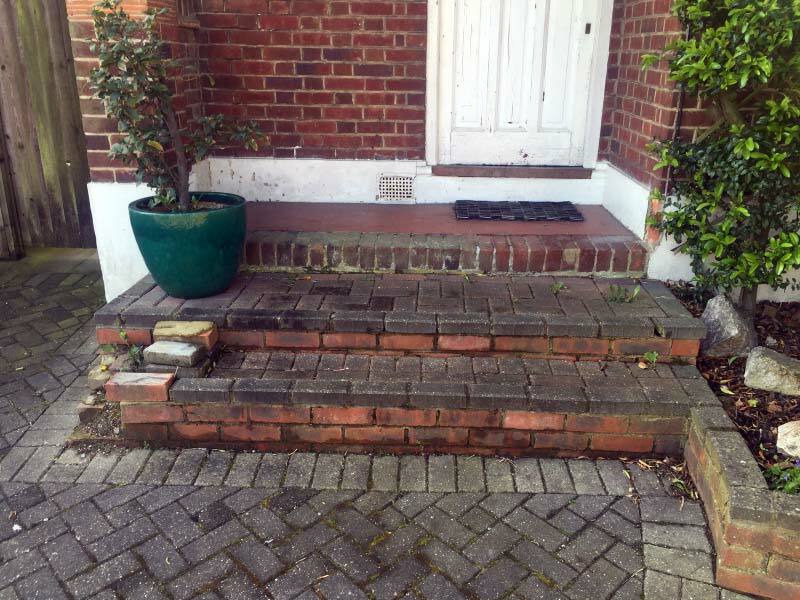 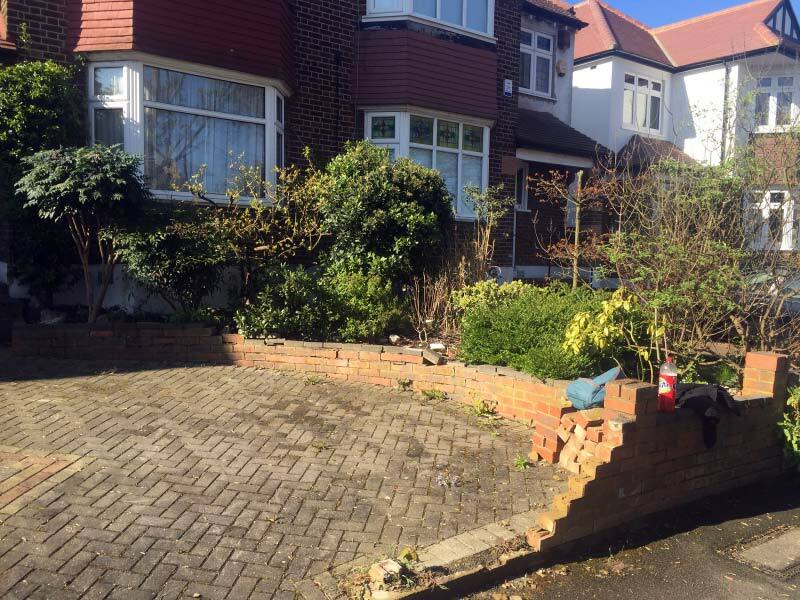 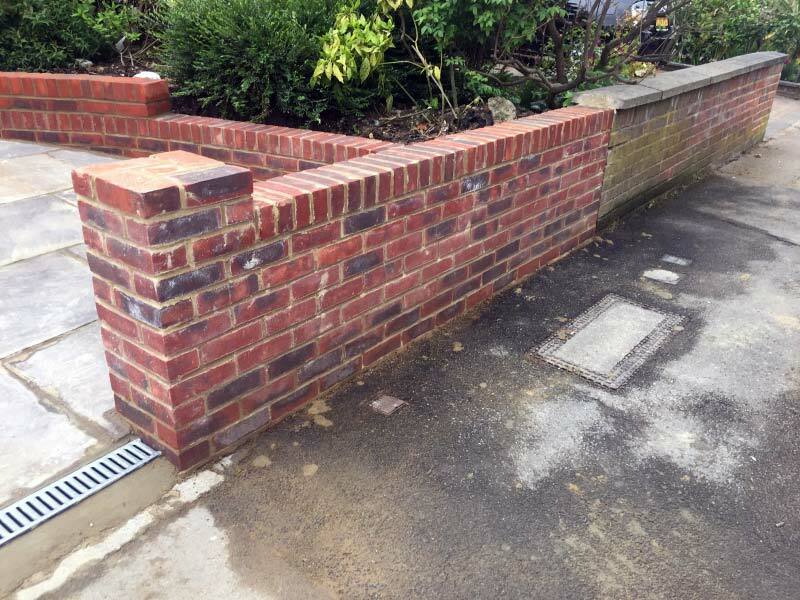 Our clients asked us to remove an old broken brick wall, the steps leading up to the front door and a very old patio that looked worn and tired. 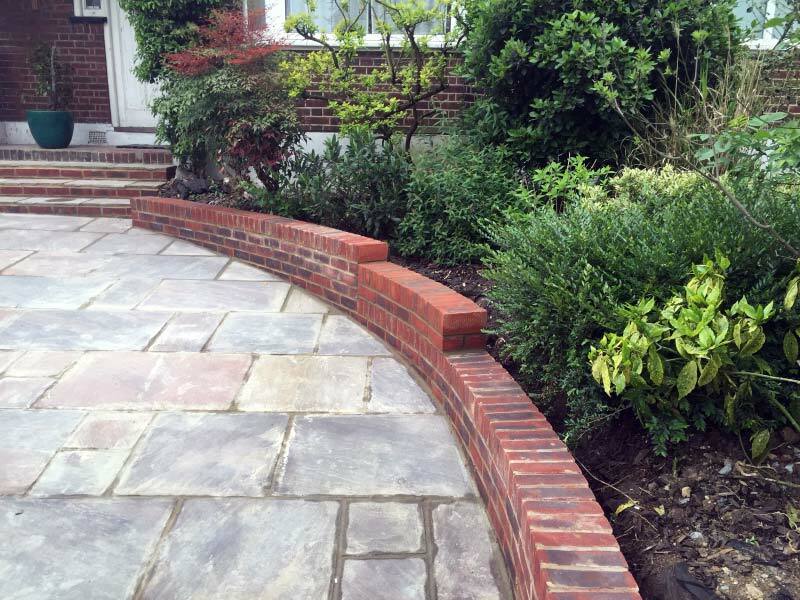 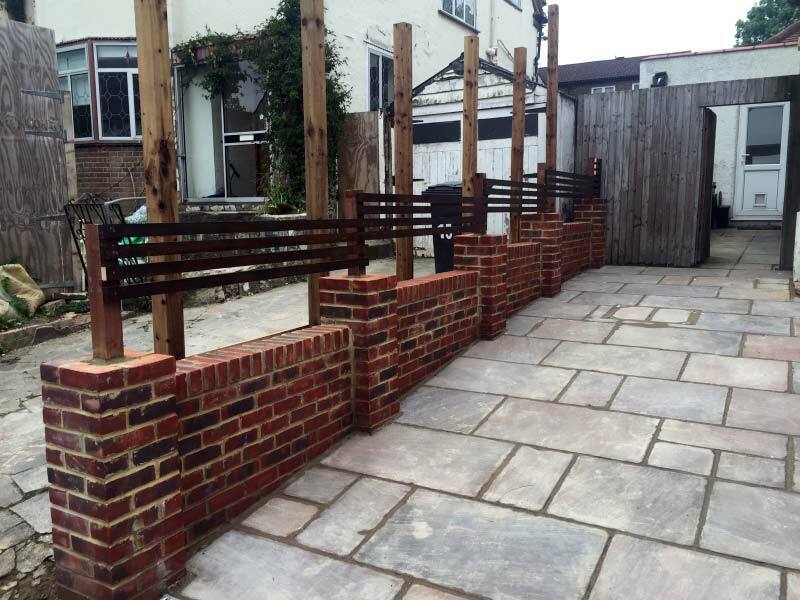 We started by building the a new brick wall to each side of the garden and to the front of the house. 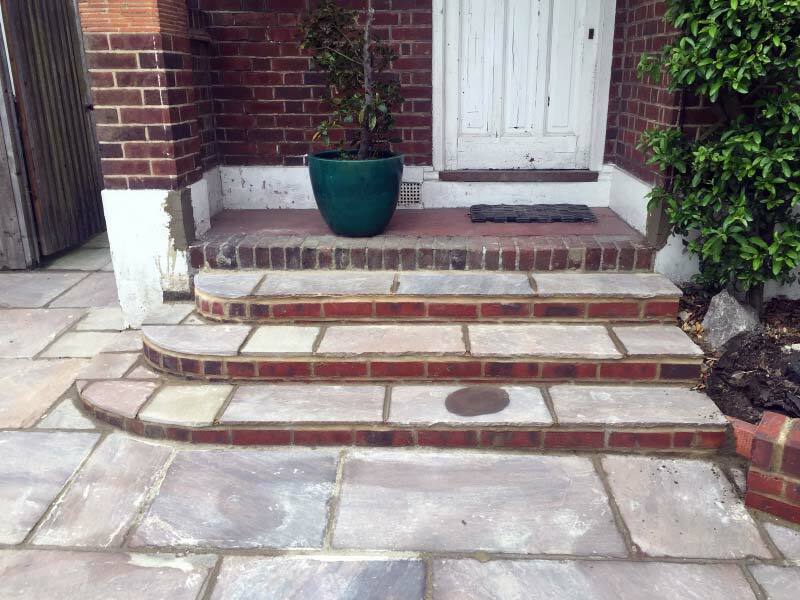 We then added the steps using the same stone as the driveway and the brick wall. 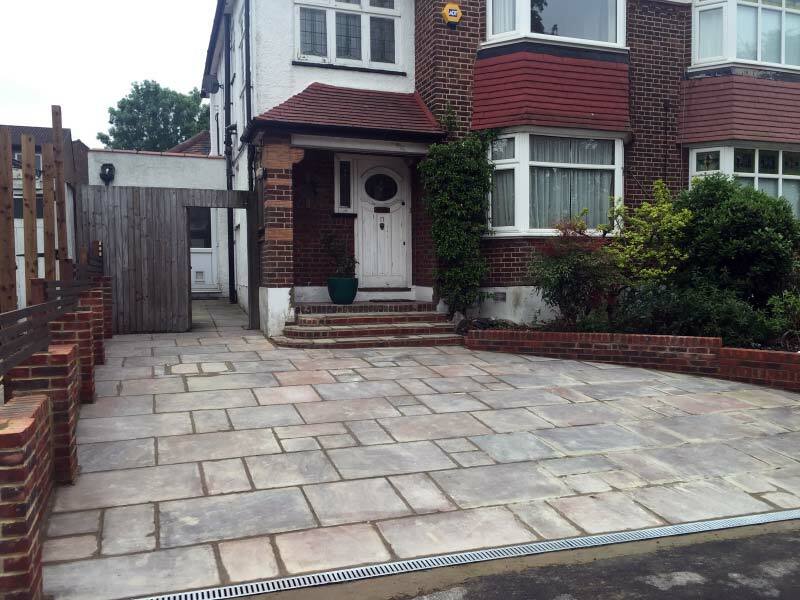 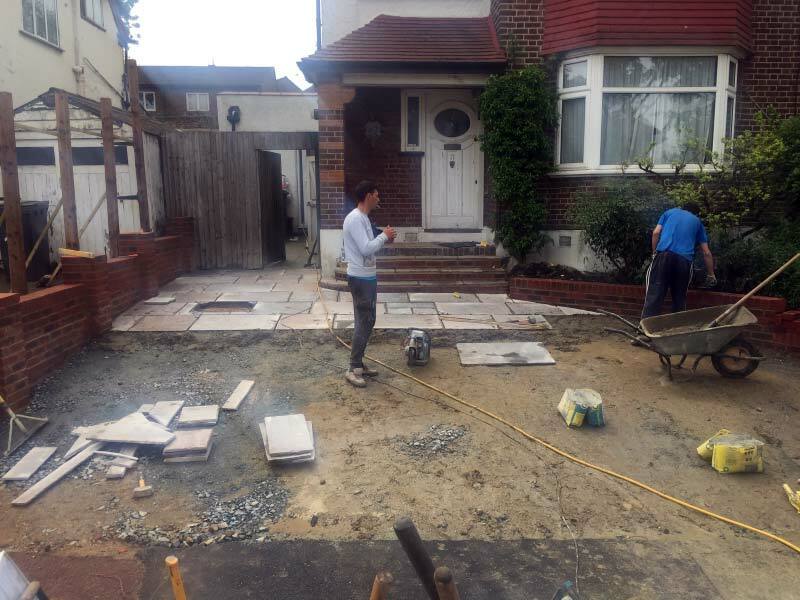 Finally the driveway was laid using different coloured sandstone paving slabs.